We have seen an increasing number of available scientific studies showing the effectiveness of Boswellia (Boswellia serrata) as a treatment for arthritis and arthritis. The Boswellia tree grows in mountainous areas in India. Cutting into the bark releases a sap consisting of gum resins and oil. After approximately three weeks, this sap transforms into beads, which people then harvest. Ayurvedic medicine uses these beads in vegetable preparations. This type of medicine was invented thousands of years ago in India. The active components in the gum resin beads have the same effect as corticoids. 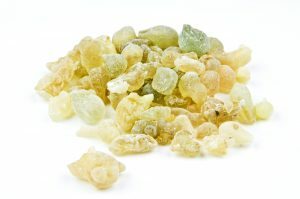 Boswellia therefore has strong anti-inflammatory properties. In India, it is also a basic ingredient in natural medicines for reducing inflammation in joints. The active component in the gum resin beads of the Boswellia serrata is Boswellic acid. 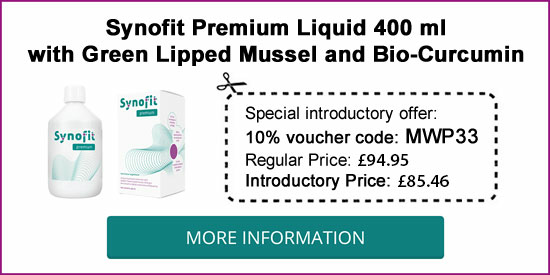 This substance inhibits the production of leukotrienes by the 5-lipoxygenase enzyme in the body . These leukotrienes are responsible for initiating and also maintaining inflammation processes. In 2008, a new study revealed that Boswellia also reduces the activity of COX-1 and, to a lesser extent, COX-2 . COX is a group of enzymes involved in the synthesis of prostaglandins. Prostaglandins also play an important role in inflammation processes. As previously noted, scientists are conducting more research into the effect of Boswellia on joint inflammation. We will examine two of these studies in this article. First of all a double blind clinical study was conducted on the effect of Boswellia on patients with knee arthritis, this study was also randomized and placebo-controlled. Throughout a 30-day period, half of a group of 60 people received a preparation with 100 mg of gum resin from the Boswellia serrata. While the other participants received a placebo (fake remedy). 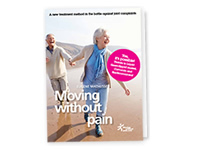 Most noteworthy the pain scores and mobility of the patients from the Boswellia group started to improve after only five days. In conclusion the researchers found that Boswellia was a safe and natural alternative remedy for the treatment of knee osteoarthritis . Furthermore the American researcher H.P. Ammon conducted multiple studies into the effect of Boswellia on inflammation processes in joints. According to Ammon, clinical studies revealed that this gum resin could be effective in treating some autoimmune diseases, such as arthritis. The operating mechanism of Boswellic acid also differs from the mechanism of NSAIDs, the use of which can lead to serious side effects. Unlike NSAIDs, the effect of Boswellic acid is linked to components of the immune system, such as the inhibition of 5-lipoxygenase. In conclusion he also found that the side effects of Boswellia are not serious in comparison with NSAIDs . Kimmatkar N, Thawani V, Hingorani L, Khiyani R. | Efficacy and tolerability of Boswellia serrata extract in treatment of arthritis of knee–a randomized double blind placebo controlled trial. | Phytomedicine. | 2003 Jan;10(1):3-7. Gupta I, Parihar A, Malhotra P, Gupta S, Lüdtke R, Safayhi H, Ammon HP. | Effects of gum resin of Boswellia serrata in patients with chronic colitis. | Planta Med. | 2001 Jul;67(5):391-5. A double blind, randomized, placebo controlled clinical study evaluates the early efficacy of aflapin in subjects with arthritis of knee. Vishal AA1, Mishra A, Raychaudhuri SP.